Back in May 2010 I did an interview on Alan Steinfeld’s “New Realities” radio show in New York. The interview was about what the mundane astrological portents were indicating for the new decade of the Twenty-Tens. 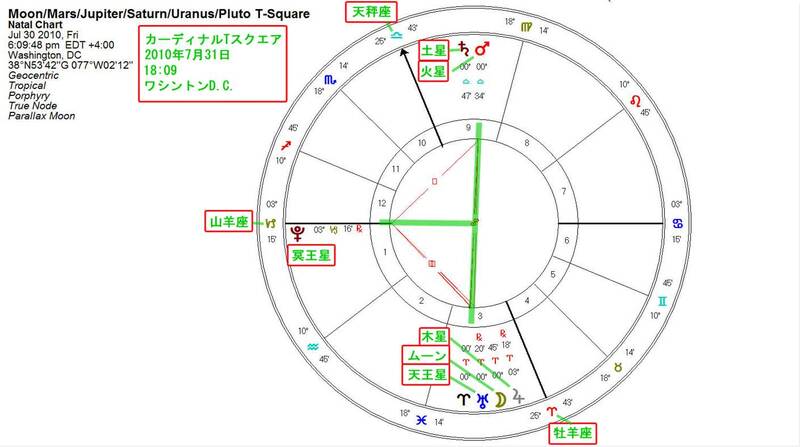 The basis of my forecast at that time was the formation of the the Cardinal T-Square alignment in mid-summer of 2010 when the slow-moving planets of Jupiter, Saturn, Uranus, and Pluto aligned into a T-Square configuration (when two or more planets in opposition make a square to a third planet). Although there have been previous T-Squares involving these planets, e.g. 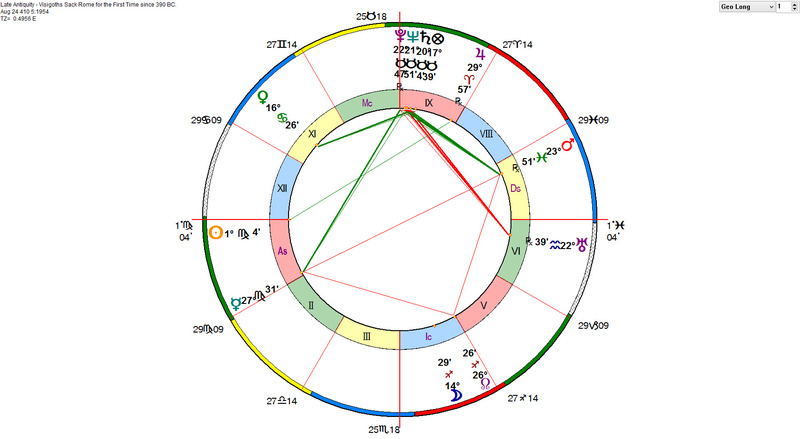 that last one occurred in 1932, what makes this alignment historically significant is that it was exactly aligned along the World Points of the Cardinal signs. Planets located at these degrees express their archetypal power on the global stage with direct and unequivocal force, like a super volcano ready erupt. The last time civilization witnessed a similar outer planetary alignment of this magnitude was in the summer of 410 A.D. which coincided with the collapse of the Western Roman Empire – the world’s first Superpower, when the Visigoths Sack Rome, which began a period of massive cultural, demographic and economic decline and disruption for approximately 400 years. Since 2010 we have continued to see an escalation and acceleration of social discontent, uprisings, large-scale protest, strikes, and skirmishes that have begun to unravel and threaten the peace between the great powers in several regions throughout the globe. For the Cardinal T-Square alignment not only represented the commencement of a global paradigm shift for civilization, but also the tangible intensification and acceleration of imminent environmental catastrophe and near-term exhaustion of natural resources from a rapidly growing global population of over 7 billion, and systems of economy that are not sustainable or tenable for the planet. Since the summer of 2010, the world has been experiencing the raw archetypal power of the Cardinal T-Square alignment as it continues to express its waning effects as we witness the systemic collapse and breakdown “old world” oligarchical establishment and the nascent emergence of a “new world” establishment. This radical configuration of civilization represents the passing away of a dying paradigm that has defined a better part of our civilization for the past 500 years, as a new one struggles to be born. As we go into the Cardinal Square Alignment in Spring 2014, the global community will experience a second recapitulation of the collective archetypal power of titanic change pain, and crisis of the outer planetary alignment as they directly impact on the horoscopes of nation states, world leaders, global institutions, transnational corporations, who continue to maintain and enforce unsustainable and untenable systems. If you listen to this interview keep in mind that what I discussed in regards to the global crisis and revolution to follow, was well before the 2010: Riots in Bangkok by the National United Front of Democracy Against Dictatorship, or the Second Kyrgyz Revolution that lead to the ousting of President Kurmanbek Bakiyev, or the Greek protests against the Euro zone austerity measures, or the 2010–2013: Arab Spring which included the Tunisian revolution which forced President Zine El Abidine Ben Ali to resign and flee the country, and sets free elections, along with the 2011 Egyptian revolution which brought down the regime of President Hosni Mubarak, and the Libyan civil war where rebel forces gradually took control of the country, and killed Muammar Gaddafi, or the ongoing Syrian civil war, and the 2010–2012 Algerian protests, along with the Bahraini uprising, and the 2011 Iraqi protests, the 2011 Jordanian protests, 2011–2012 Moroccan protests, the 2011 Omani protests, the 2011 Yemeni revolution which lead to the eventual resignation of Ali Abdullah Saleh as President of Yemen, along with the 2011–2012 Iranian protests, the 2011–2013 Spanish protests, the 2011-2012 Maldives political crisis where public protests and police mutiny led to the resignation of President Mohammed Nasheed, the 2012 Tuareg rebellion, along with Central African Republic conflict (2012–present)–François Bozizé, the president of the Central African Republic, who was overthrown by the rebel coalition Seleka, led by Michel Djotodia. Also, the 2013 Eritrean Army mutiny, the 2013 protests in Turkey, the 2013 protests in Brazil, and of course the 2014 Venezuela protest movement, the 2014 Thailand protest, and the 2014 Ukrainian Revolt that is well underway. Also I talked at length that the decade of the Twenty-Tens would be one where UFO Disclosure would begin to rapidly unfold. 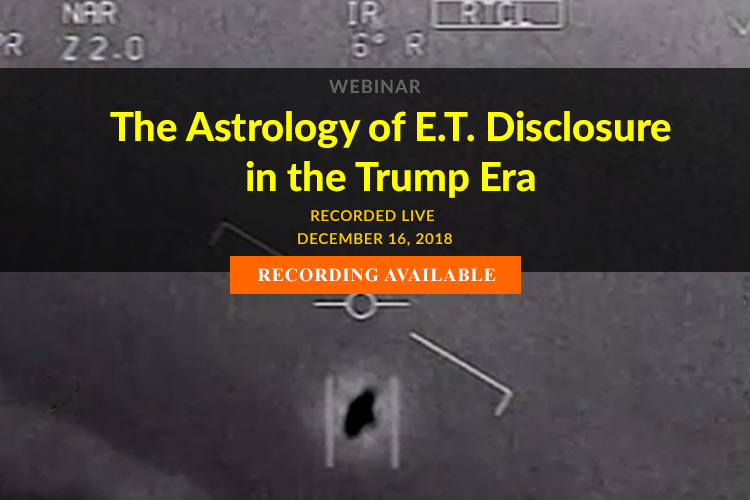 Since that public forecast in May of 2010, governments around the world have been quickly declassifying their dossiers on UFOs and made them available to the public. In August 2010 the United Kingdom released files containing a wide range of UFO-related documents, drawings, letters and parliamentary questions covering the years 1995-2003. And during the same month Brazil declared a new law that made public the files of Brazilian Air Force that regulated access to government information about UFOs. In September 2010 six courageous U.S. Air Force officers and one passionate UFO researcher assembled at the prestigious National Press Club in Washington, DC on September 27th who gave intriguing testimony of their personal involvement in a major UFO cover-up by the U.S. Military. This was shortly followed in November, of the release of the US military investigating UFO landing in Rendlesham forest on 27th December 1980. In December 2010 the New Zealand government released their top-secret files that included every eyewitness account of unidentified flying objects reported to authorities since the early 1950s, including the 1978 Kaikoura mystery. By year’s end, December 31st, the Argentine Air Force created a commission to record and investigate reports of unidentified flying objects in the country’s airspace. In 2011 – in late January the Directorate of Civil Aeronautics of Chile gave some videos and audio of UFO sightings on its territory. This was followed in March of the release of Britain’s X files, with more than 8,000 pages of reports of UFO sightings and international concerns over the possibility of a close encounter of the third kind. Soon after in early April in the United States a new initiative by the FBI called “The Vault” revealed unseen and INCREDIBLE documents about a UFO recovery and other cases. In July of 2012, the United Kingdom Ministry of Defense released files that contain a wide range of UFO-related documents, drawings, letters and parliamentary questions covering the years 1985-2007. Soon after in August in Australia documents became available under the 30-year rule at the National Archives of Australia, that reveal how two RAAF Mirage jets were placed on the second highest level of alert to determine the cause of unidentified radar contacts seen on screens at Mascot. 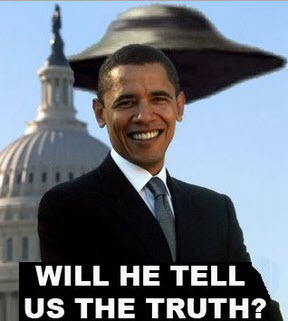 The Citizen Hearing on Disclosure from April 29 to May 3, 2013, occurred at the National Press Club, where U.S. Senator Mike Gravel and former Representatives Carolyn Cheeks Kilpatrick, Roscoe Bartlett, Merrill Cook, Darlene Hooley, and Lynn Woolsey were committee members of the hearing. 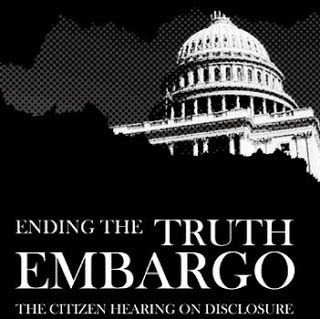 The hearing and a documentary of the event to follow (working title: Truth Embargo) that summarized its findings, were intended to compel Congress and the United Nations open to open investigation. In June 2013, in the United Kingdom UFO files were released by The National Archives containing a wide range of UFO-related documents, drawings, letters, and photos and parliamentary questions covering the final two years of the Ministry of Defense UFO Desk (from late 2007 until November 2009). Below is an excerpt from the May 18th, 2010 interview, and many of the events I predicted back then, e.g. the Occupy Movement, geopolitical volatility, societal crisis, and global economic contraction, many of which are happening now. William Stickevers: When the outer planets align at these degrees, they express their archetypal power on the global stage with direct and unequivocal force. And what really makes this Cardinal T-Square configuration historically significant is that the last time civilization witnessed a similar outer planetary alignment of this type was in 410 AD… in June 410 AD, it coincided with the collapse of the Western Roman Empire, the world’s first global superpower and was followed by a period of massive cultural, demographic, and economic decline and destruction that continued for 400 years unabated. 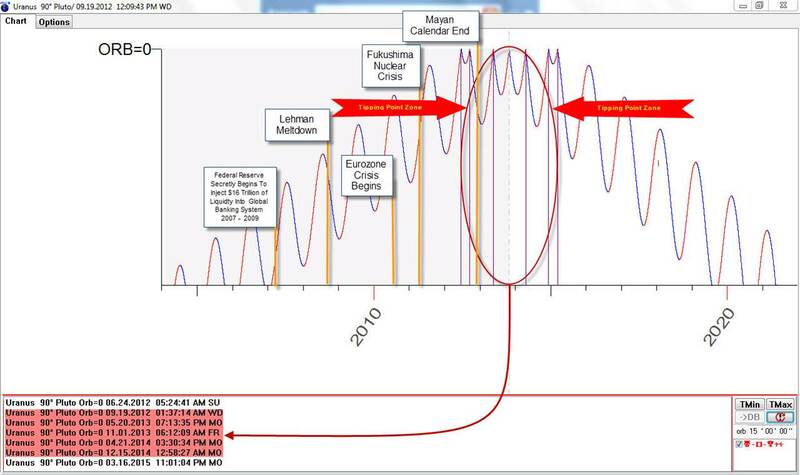 We are now entering that same configuration and it’s going to affect the world over as we are seeing now. What I can specifically do with the technology that I have, the software that I employ, is I can take that configuration, run it against every chart of every nation, every company, every person in my database, every U.S. state, every municipal entity. 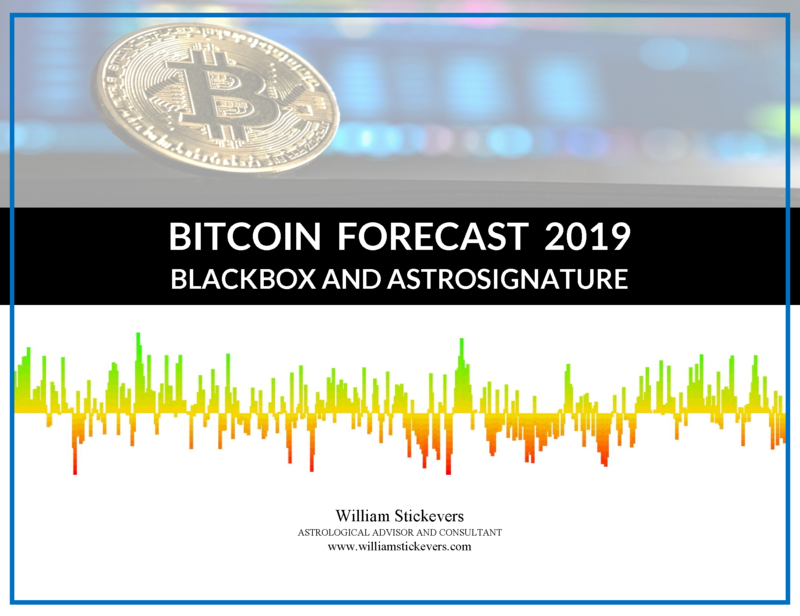 And I can see which ones are going to be hit hardest with varying degrees of intensity and then make certain projective speculations on what the future is going to bring. Alan Steinfeld: Wait, I thought we were heading into a whole new age of enlightenment and upliftment and joy and beauty – you’re saying that’s not going to happen? WS: Well, what I’m saying is that for this decade, that is not going to happen. Between 2010 and 2020 will be arguably one of the most historically crisis-driven decades. Because what’s happening now as you can see, with the arrival of the Cardinal T-Square, we can expect – starting 2010 to 2020 – one crisis seemingly begetting another, and the time span between each crisis getting shorter and shorter where the global economy and geopolitical relations will be on a turbulent and perilous course. Because anything now, any structure that is in place that is unsustainable and untenable will not last. AS: Okay, so what about 2012? Everyone wants to know. That is not going to be a great awakening? WS: No – Yes – well, yes and no. 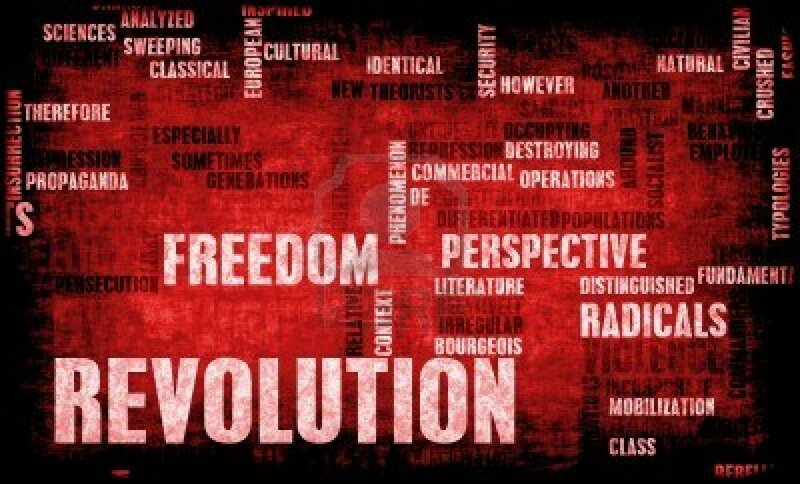 What you will see is a global revolution. I believe that 2010 will be the shot across the bow in the beginning of a global revolution that will result in a global awakening, a higher shifting of consciousness. But at the same time, Alan, there will be a counter-revolutionary force, just as powerful, colliding with that awakening group. And when that awakening occurs I do not believe it’s going to be going back to “flower power,” going back to your local community in such an easy, graceful way. The powers-that-be are going to try and lock down exactly the type of system they have created for us now, in economic indentured servitism. And I think we are going to see this clash. It begins this summer. AS: Okay, wait, but the “clash” between the higher powers and the lower powers begins? WS: No, it’s a clash between the powers-that-be and the disenfranchised, demoralized group of people who are coming to awakening that the government, the civilization that they have invested into over the period of decades is no longer interested in providing for them. They feel abandoned, demoralized, left out. And that group of people, by the way, are well-educated, formerly middle-class Americans, Europeans, Asians, who now under this crisis feel that they are at a turning point. So I believe that what’s happening here is that there is an awakening going on – many people are leaving their churches, the many things that they counted on to get them through the day are no longer available. So I believe there is this big shift going on. You’re going to see it in the metaphysical communities; people are going to go back into metaphysics. You’re going to see very much what happened in the ‘60s happen in a much bigger way because of the power of the internet and its ability to organize and its ability to virtually empower people. So I believe the American public will split and take sides between those who refuse to yield to change and those who demand it. Yes, it’s going to be an empowering time for many, many people. This is not going to be a graceful transition as talked about in these metaphysical, new age books written in 1980. May 6 – The Dow Jones Industrial Average suffers its worst intra-day point loss, dropping nearly 1,000 points before partially recovering. May 20 Scientists announced that they have created a functional synthetic genome. November 21 – Eurozone countries agree to a rescue package for the Republic of Ireland from the European Financial Stability Facility in response to the country’s financial crisis. November 28 – WikiLeaks discloses a collection of more than 250,000 American diplomatic cables, including 100,000 marked “secret” or “confidential”. December 17 – The Arab Spring begins. January 14 – Arab Spring: The Tunisian government falls after a month of increasingly violent protests; President Zine El Abidine Ben Ali flees to Saudi Arabia after 23 years in power. February 11 – Arab Spring: Egyptian President Hosni Mubarak resigns after widespread protests calling for his departure, leaving control of Egypt in the hands of the military until a general election can be held. March 15 – Arab Spring: Hamad bin Isa Al Khalifa, King of Bahrain declares a three-month state of emergency as troops from the Gulf Co-operation Council are sent to quell the civil unrest. March 15 – Arab Spring: The Syrian Civil War begins. March 19 – Arab Spring and the Libyan civil war: In light of continuing attacks on Libyan rebels by forces in support of leader Muammar Gaddafi, military intervention authorized under UNSCR 1973 begins as French fighter jets make reconnaissance flights over Libya. May 1 – U.S. President Barack Obama announces that Osama bin Laden, the founder and leader of the militant group Al-Qaeda, has been killed on May 2, 2011 during an American military operation in Pakistan. June 5 – Arab Spring: Yemeni President Ali Abdullah Saleh travels to Saudi Arabia for treatment of an injury sustained during an attack on the presidential palace. Protesters celebrate his transfer of power to his Vice-President Abd al-Rab Mansur al-Hadi. June 12 – Arab Spring: Thousands of Syrians flee to Turkey as Syrian troops lay siege to Jisr ash-Shugur. July 31 In Thailand over 12.8 million people are affected by severe flooding. The World Bank estimates damages at 1,440 billion baht (US$45 billion). Some areas are still six feet under water, and many factory areas remained closed at the end of the year. 815 people are killed, with 58 of the country’s 77 provinces affected. August 20–28 – Arab Spring and the Libyan civil war: In the Battle of Tripoli, Libyan rebels take control of the nation’s capital, effectively overthrowing the government of Muammar Gaddafi. January 23 – Iran–European Union relations: The European Union adopts an embargo against Iran in protest of that nation’s continued effort to enrich uranium. February 21 – Greek government debt crisis: Eurozone finance ministers reach an agreement on a second, €130-billion Greek bailout. February 27 – Arab Spring: As a result of continuing protests, Yemeni President Ali Abdullah Saleh is succeeded by his Vice President Abd Rabbuh Mansur Al-Hadi. March 13 – After 244 years since its first publication, the Encyclopædia Britannica discontinues its print edition. March 22 – The President of Mali, Amadou Toumani Touré, is ousted in a coup d’état after mutinous soldiers attack government offices. August 6 – Curiosity, the Mars Science Laboratory mission’s rover, successfully lands on Mars. October 24–30 – Hurricane Sandy kills at least 209 people in the Caribbean, Bahamas, United States and Canada. Considerable storm surge damage causes major disruption to the eastern seaboard of the United States. November 25 – December 9 – Typhoon Bopha, known as “Pablo” in the Philippines, kills at least 1,067 with around 838 people still missing. The typhoon causes considerable damage in the island of Mindanao. February 15 – A meteor explodes over the Russian city of Chelyabinsk, injuring 1,491 people and damaging over 4,300 buildings. It is the most powerful meteor to strike Earth’s atmosphere in over a century. The incident, along with a coincidental flyby of a larger asteroid, prompts international concern regarding the vulnerability of the planet to meteor strikes. March 24 Central African Republic conflict: Central African Republic President François Bozizé flees to the Democratic Republic of the Congo, after rebel forces capture the nation’s capital, Bangui. March 27 – Canada becomes the first country to withdraw from the United Nations Convention to Combat Desertification..
April 24 – An eight-story commercial building collapses in Savar Upazila near the Bangladeshi capital of Dhaka, leaving 1,129 dead and 2,500 injured. The accident is the deadliest non-terrorist structural collapse in modern times and the third-worst industrial disaster in history. July 3 – Amid mass protests across Egypt, President Mohamed Morsi is deposed in a military coup d’état, leading to widespread violence. November 8 – Typhoon Haiyan (“Yolanda”), one of the strongest tropical cyclones on record, hits the Philippines and Vietnam, causing devastation with at least 6,241 dead. December 14 – Chinese spacecraft Chang’e 3, carrying the Yutu rover, becomes the first spacecraft to “soft”-land on the Moon since 1976 and the third ever robotic rover to do so. I have been saying it for decades. Civilization as we know is headed for calamity and it will never rise again. A far better version of civilization will rise from its rubble and ashes. Not many people will be around then…. As for UFOs, relatively few people will take the subject seriously until some of them show up and demand we pay attention bu hovering over one or more world capitals. That is largely because the corporate news media refuses to take the subject seriously. Even so, I know for certain people from distant worlds have been visiting us. My enlightenment in that regard arrived one night in the guise of a UFO that I beheld gliding overhead at such a low altitude that I could see its seams thanks to the glare of streetlights. It was roughly almond-shaped with a blunt nose and about as massive as a battleship. It had no markings and made no sound.